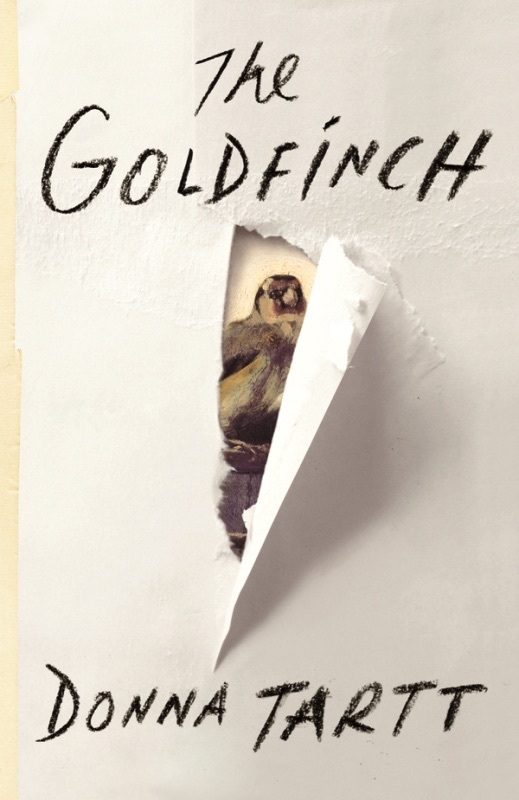 It took me about three moths to read The Goldfinch, the Pulitzer-winning novel by Donna Tartt. It’s almost 800 pages, and it’s heavy — not just weighty but emotional. It’s a beautiful book but a bleak one, and bleak is not my favorite mood. So I took breaks, read other books, considered abandoning it. The book is a long and ambling story about life and art and how the two intersect and don’t. There’s an accidental art theft that leads to decades of dangerous twists and turns. There’s a certain amount of belief that must be suspended, but Tartt does a wonderful job of making believable the world her characters inhabit. She also provides so many pages of detail that the reader has little choice but to give in and go along with the story. And, in fact, all that’s light and hopeful and safe remains close by. The dark is never total, the bleakness never all-encompassing. And yet, when Tartt finally does get around — in the final chapters — to offering up her view on the world, it feels like more of a succumbing than a revelation. “Life is a catastrophe,” she writes in the voice of main character Theo. of course I know this is fiction and the philosophy could, too, be made up for the sake of the story. But as a writer I believe that fiction is created to tell a story built on the beliefs of a writer. Which is not to say that a writer has to be pro-manslaughter to write a murder mystery. But it’s unlikely that a writer would spend 775 pages on the juxtaposition of beautiful objects and the meaning of life if there wasn’t some personal investment in the overarching theme. But what I felt, even in the heady moments of closing in on the last pages, was that I didn’t agree. Not with the thesis. With many of the arguments: Yes. “And I add my own love to the history of people who have loved beautiful things, and looked out for them,” Theo says. I get this. I, too, love beautiful things, and old things. Like Theo, I would often rather own an antique than something new, because old things are storied and new things are blank. I want to feel meaning in the things with which I surround myself. I care about style more than fashion, and personal connection more than monetary value. But I don’t think that beautiful things are simply a reprieve from the big-picture ugliness of existence. And I don’t think Tartt’s book, however epic and fraught, manages to defend the thesis that life is a catastrophe. In fact, not even Theo’s life is a catastrophe, no matter the number of unfortunate events that befall him. Theo is loved and valued despite his poor choices. The book insists on treating him as a good person. Good and evil are nebulous, and the good are often wrong, but they also ultimately triumph over the bad, even if at the cost of being wounded in the process. To Theo, life is a catastrophe — and this is not a spoiler — because he tragically loses his mother. He comes to love beautiful things because they represent her. Her love of art, her refinement, her ability to maintain in the face of difficulty and her delight in beauty even in the face of poverty provide the basis for Theo’s approach to life. He cares for the poor, the underdog, the weak-but-refined and the under appreciated. He loves objects because they can’t hurt or disappoint him as people have. He loves the painting because it’s the last thing he and his other shared. He doesn’t so much steal and protect the painting, as he claims, as keep close his relationship to his mother. And, even as his struggle to keep the painting is his undoing, it’s also the thing that keeps him connected to a true beacon of humanity. Beauty is a moral compass and a talisman. That’s what The Goldfinch ultimately said to me.